This fairy has star style. And now (at last) she’s in twinkly colour. Music to our ears. Lucky fairy Destiny has the best job ever. She helps pop stars hit the big time. Can she help out when Rachel and Kirsty’s favourite group, The Angels, get into trouble? Just watch out for naughty Jack Frost! 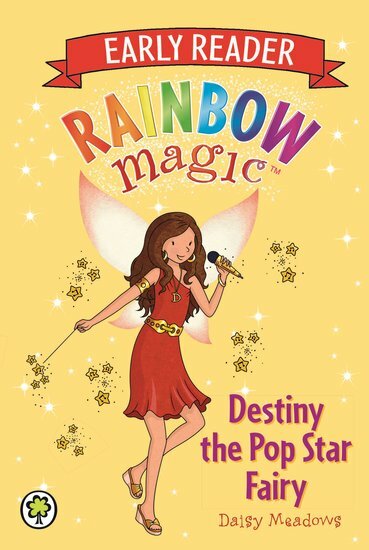 This shorter, easier version of a classic Rainbow Magic story will get you smaller readers flying high. The pretty colour pictures are a real highlight – they truly bring the story alive. This book is really good because it has lots of really cool songs in that are fake. I do not think it is one of Daisy Meadows best books.